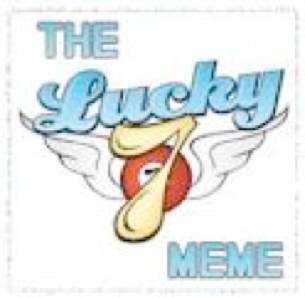 The rules of the Lucky Seven Meme say that one is supposed to go to page 7 or 77 of one’s current manuscript (naturally, one has half a dozen to choose from. Remember the Flanders and Swann Greensleeves routine: ‘if you’re writing a musical, which I’m sure practically all of you are …’); go to line 7; and then post on your blog the next seven lines or sentences. I’m still new to this blogging thingy, but I wanted to play too. To this end you will find below seven sentences from my longest manuscript (based very loosely on Alice in Wonderland as you may recall from an earlier post), from page 7 (chapter 1) and from page 77 (towards the end of chapter 10). I promise you that this makes a lot more sense with the intervening seventy pages. I also recommend Seymour’s post on the same subject. However, it has since been proved to ALICE (mostly by the behaviour of BORING SUSAN, of which more later) that this cannot be the case. FATHER clearly thinks otherwise as well and has never missed a week. FATHER has a stack of dictionaries, thesauri and other crosswording equipment on the windowseat behind his chair in the other room. Protruding from his shirt pocket is his Special Crosswording Pen (an important burgundy colour) and he’s writing his article for the parish magazine with a scratchy pencil onto lined yellow paper. FATHER has written everything in this fashion since reading somewhere that John Steinbeck drafted all of his novels in scratchy pencil onto lined yellow paper. Don’t let that fool you into thinking that my father reads or admires or resembles John Steinbeck in any way, however: he does not. MOTHER clatters back into the kitchen, thrusting the tuna-encrusted plate into the sink; FATHER, HUGH and ALICE have all finished eating while MOTHER communed with the village strays and MOTHER piles the crockery up into a greasy stack, while FATHER inks an answer into the crossword with great care, muttering under his breath that this puts a ‘w’ in a very awkward place.